– see the power of God’s Word in daily life! That’s the idea behind this list of simplified Bible verses for children. Use these short Bible quotes (aka part A or B of a verse) to easily get across the main idea and help kids hide God’s Word in their hearts. Acts 16:31 Believe in the Lord Jesus Christ, and you will be saved. Genesis 16:13 You are the God who sees. Proverbs 14:5 An honest witness does not lie, a false witness breathes lies. Numbers 6:24 The Lord bless you and keep you. Colossians 3:16 Let the word of Christ dwell in you richly. 1 John 5:3 This is love for God: to obey his commands. Ephesians 4:30 Do not grieve the Holy Spirit. Hebrews 13:8 Jesus Christ is the same yesterday, today and forever. Proverbs 3:5 Trust in the Lord with all your heart. Romans 3:23 All people have sinned and come short of the glory of God. Colossians 3:20 Children, obey your parents in all things. James 1:17 Every good gift and every perfect gift is from above. Matthew 28:20 I am with you always. Ephesians 4:32 Be kind to one another. 1 John 3:23 Love one another. Psalm 136:1 Give thanks to the Lord, for he is good. His love endures forever. Psalm 138:1 I will praise thee with my whole heart. John 10:11 I am the good shepherd. Now that you have this list how will you help kids memorize the verse? 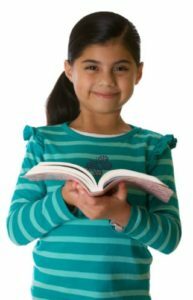 Our website is packed with tips and games for kids memorizing Scripture. The main point is to make it fun and keep repeating! Some readers are hesitant to only teach “part” of a verse. We think it’s reasonable to start with the basic parts and then add the longer details as kids grow. Remember the verse divisions are not in the original Greek & Hebrew manuscripts of the scripture. Some of Paul’s best quotes ramble on for paragraphs (all one sentence in Greek). Giving kids bite size memory verses will build confidence and empower them to use the WORD of GOD right away. Don’t forget the Bible is for living, not memorizing for some test. Need more? 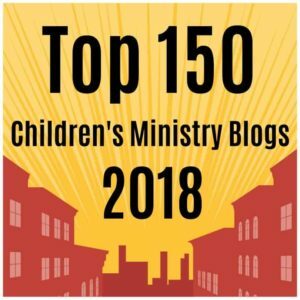 We’ve expanded this list into 52 memory verses for kids one for each week of the year. You can also print 10 Bible Verse coloring pages from this list. Don’t miss our ABC Bible Verse printable. I have church services twice a month at a area nursing home and rehabilitation center. A number of the patients have had strokes or dementia. So,I am reintroducing things that they at one time knew, such as The Lord’s Prayer. Tomorrow, I will be talking about bible verses. Come to this site to get information to use with these patients. Love this idea. My dad has Alzheimers and has difficulty reading his bible. He is currently in rehab after a fall. I will print some of these verses to hang on his wall. I was very happy to find this list! However, there are some typos. Please correct these, so that children copying these will have an accurate model. Proper spelling, punctuation, grammar and usage is as essential as the messages of these verses. Thank you! #1 – Please be sure to add periods at the end, even if it is a partial quote. Kids should see this modeled. #3 Proverbs 14:5 **AN** honest witness does not lie; a false witness **BREATHES** lies. #4 You have Acts 16:31 listed twice. #5 John 3:23 is listed as 1John 3:23. #6 Psalm 118:24 – You have a capital letter in “Let” following the semicolon (;). Please note, the word following a semicolon is always lowercase. #7 Psalm 138:1 – Remove the quotes. These are not necessary. Again, thank you for putting these together! Thanks so much for your feedback. I’m going to email you about doing some editing work for me. : ) no joke. This may help with the little ones my church made up verses by only using 5 fingers… like The Lord is my Shepard , I am special and loved. This is easy and they can remember by using their fingers! Just FYI you have John 3:23 listed as “Love one another.” It is 1 John not John. Thanks! Thanks for the heads up! Fixing it now. Tony Kummer (Editor) reviewed & updated this page on : March 24, 2019 at 8:19 pm. All our content is peer reviewed by our readers, simply leave a comment on any post suggest an update.